**Bookings are Sat to Sat only in Jan school holidays. Classic beach house positioned to capture the views. Open plan living/dining/kitchen leading to spacious entertaining deck with BBQ. 3 bedrooms. Main queen bedroom with ocean views. 2nd bedroom with 2 singles. 3rd bedroom with double. Doonas, blankets and Pillows are provided. **Sheets and towels not included. Can be hired from Avoca Laundrette. Max 6 people. No parties of any kind allowed. No wifi at the house. 1 bathroom with bath and shower in the house. Separate toilet in the house. Additional serviceable shower/toilet in laundry downstairs accessible from outside. 100m to the lake's edge and a further 100m along the lakefront to the beach. Yard is not fenced but deck is secure. 90 mins north of Sydney between Macmasters Beach and Avoca Beach. Beach/Lagoon. Cafes, Cinema, Local shops, BBQ and tennis courts in the area. 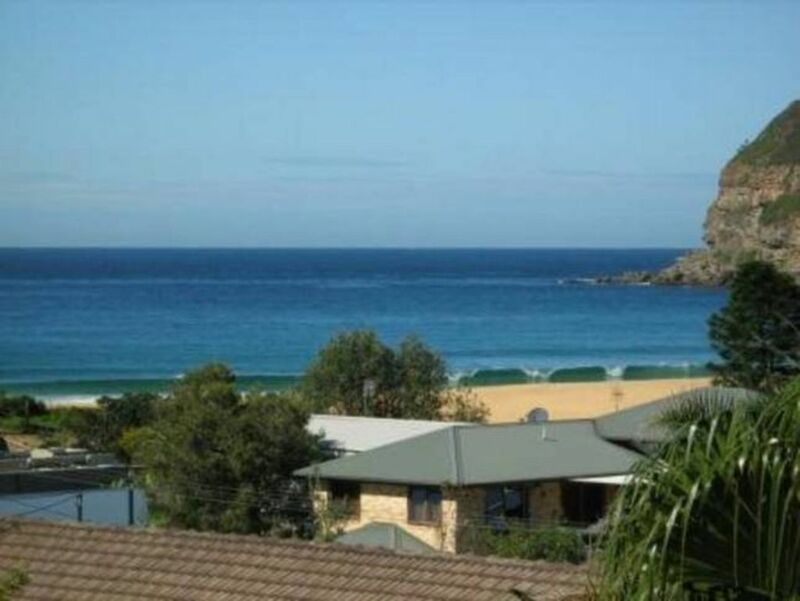 Swimming,surfing, kayaking, golf, National Park for bushwalking, fishing, family areas etc. Bathroom with shower and bath. Separate toilet. Rough surface not suitable for young children. Non-slip deck surface is not suitable for very young children. Beach house with all that is needed. The balcony and view are the best features. You can also hire linen and towels from Avoca Beach Laundrette on the way through.Very reasonable. We really enjoyed our relaxing 3-day stay at Jeans Beach House... and so did our dog! The view from the back deck and living room is excellent, and we enjoyed breakfasts every morning, plus drinks and dinner every evening, watching the beach views and the local birdlife from the deck. Great sunsets too! It's a 5 minute walk to the dog beach via the lagoon, a further 5 mins walk to Copacabana Surf Club, shops and cafes, and about a 20 minute walk along the beach to Macmasters. Most of the long stretch of beach is dog friendly (off leash) and our dog absolutely loved it! The house has everything you need for a comfortable stay (byo sheets and towels) and we did not miss the wi-fi at all, in fact it was great to go without it for a few days! We would definitely stay here again and will be recommending it to friends! Very nice property, clean and good value for money. Conveniently located for driving to the beach.